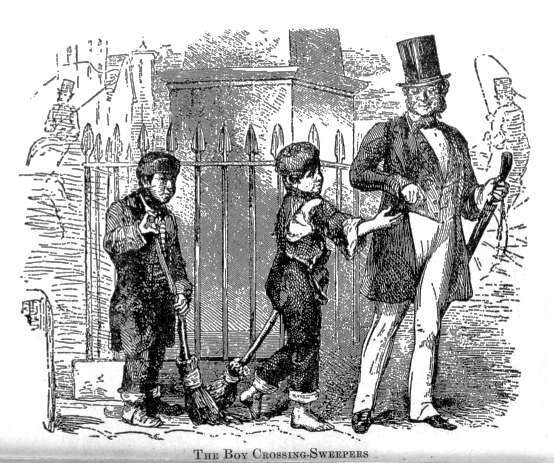 A clever and earnest-minded writer gets a commission from the Morning Chronicle newspaper, and reports upon the state of our poor in London; he goes amongst labouring people and poor of all kinds — and brings back what? A picture of human life so wonderful, so awful, so piteous and pathetic, so exciting and terrible, that readers of romances own they never read anything like to it; and that the griefs, struggles, strange adventures here depicted exceed anything that any of us could imagine. Yes; and these wonders and terrors have been lying by your door and mine ever since we had a door of our own. We had but to go a hundred yards off and see for ourselves, but we never did. — Thackeray, writing in Punch, 9 March 1850, p.93. (Mayhew's role in) "Punch, or the London Charivari (1841-1992) — A British Institution"
Humpherys, Anne. Travels into the Poor Man's Country: The Work of Henry Mayhew. Athens: University of Georgia Press, 1977. _____. 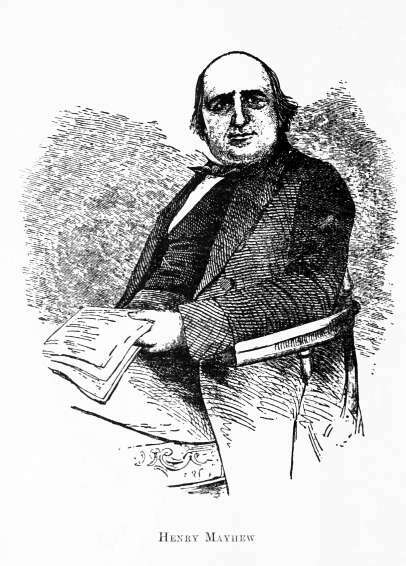 Henry Mayhew. Boston: Twayne, 1984. Louttit, Chris. "The Novelistic Afterlife of Henry Mayhew." Philological Quarterly. 85/3-4 (Summer-Fall 2006): 315-42. Mayhew, Henry. London Labour and the London Poor. Ed. Robert Douglas-Fairhurst. Oxford: Oxford University Press, 2010. Taithe, Bertrand. The Essential Mayhew: Representing and Communicating the Poor. London: Rivers Oram Press, 1996. Thackeray, W. M. "Waiting at the Station" Punch. 9 March 1850: 92-93 (reprinted later in Thackeray's Miscellanies, 1856). Internet Archive. Collection Americana. Web. 23 December 2016.